Gutter Installation in Sacramento – Call For Your Estimate Today! Gutter installation Sacramento California is by far the best service for installation of a gutter in Sacramento. We offer all types of gutter installation K style in 5" , 6" & 7". In over 20+ different colors with brown & white being our standard colors. We also install stick gutter in all styles & types available. We have multiple locations we can acquire material from and different styles of stick gutter. Our clients always compliment the capable installers and perfection we put in our work. We don't believe in pre-fabricated corners for a gutter system. Our gutter installs have one seam in the middle of the installed gutter. Not two or three seams providing less area for leaks. We hold ourselves to the highest quality of installed gutter in Sacramento. Gutter installation Sacramento, California is a complicated process which requires years of skill to provide a quality installation time after time. Some jobs provide a more complex set of corners or shorter runs. Each home is unique and requires it's own attention to details & unique approach. Why Should get a gutter installation in Sacramento? 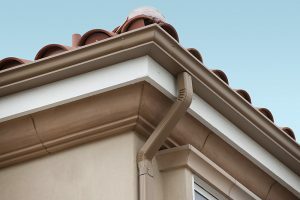 Why Should you get a gutter installation Sacramento? We all know that water is vital to our existence, but it can be quite the menace to your property. During the rainy season, the run-off will cause damage to your business or your home which will result in costly repairs. Over time, the gathering of water around your foundation will erode away at the barrier that protects it from the elements, this leaves a vulnerable point of entry for water to do further damage. Some of this damage could result in rotted wood floors or moldy carpeting. It can cause would rot in walls and damage other structural components of your home. A Gutter installation Sacramento will help to prevent such problems from happening. Let us install a new Gutter system for you so that you can better protect your most important investment. What are seamless Gutter you ask? Many traditional types of Gutter are purchased in small sections and need to be "seamed" together to stretch long spans of distance. Each one of these seams leaves the potential for a spot to begin leaking. Seamless Gutter are a lot different. 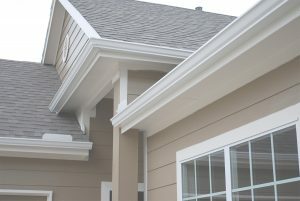 A contractor with access to the custom length of gutter will provide the best install every time. The term "seamless" is kind of confusing because there are seams at corners. While there is a little bit more cost associated with seamless gutter installation Sacramento you'll find over the course of the years that it was worth every extra penny. For starters, A seamless Gutter installation will look great. When there are no seams or fittings the style of the entire gutter system looks aesthetically attractive. They can be made in any number of materials or colors. 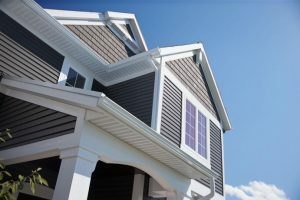 So we can custom fit any Gutter installation in Sacramento to the unique architecture of your home. These Gutter installation Sacramento are less likely to leak and cause a problem and potential damage later on down the line. Be proactive and win the battle against water intrusion. A Gutter installation will also help in protecting your landscaping from water damage. If you have decided that seamless Gutter are the way that you want to go, then give Monster's Gutter a call today. We are a licensed contractor and we get the job done right every time. We specialize in all forms of gutter installation Sacramento. Whether it be a residential or commercial property, we have the expertise and the knowledge to help protect your asset. With seamless Gutter installation Sacramento, you will take solace in knowing that your home is protected. In addition to seamless Gutter. Leafguard systems are a great way to ensure that your gutter system continues to work at its optimum performance. If you install a gutter guard system, you will never have to worry about leaves and debris clogging up your system. It will protect from the elements that threaten the structural integrity of your home. The Gutter installation services offered by Monster's Gutter will ensure the safety of your home, foundation, property, and landscaping. We only work with quality products and provide the best in quality Gutter and installations. A Gutter installation company can be hard to find. Especially when you are interested in restoration and new remodels. Having your gutter system fully functional is vital to the safety of your home and its foundation, landscaping and over aesthetics. Here at Monster's Gutter when providing a new Gutter installation Sacramento we only use the best in materials and tools to assure that our customers are satisfied every time. We will always offer sound advice and you will find that our work is meticulous. We always provide accurate estimates. Monster's Gutter installation services Sacramento are relied on by hundreds of customers. There is no project too big or small. Our company appreciates every customer that we work with. We love referrals and everyone knows that if you want referrals you have to treat every client with the utmost respect. Sacramento homeowners don't like to waste their time or their money. A faulty gutter system can be the cause of a lot of sunken costs or efforts. Gutter hazards can pop up out of nowhere. No matter where you are located in the greater Sacramento area we can have a technician out to give you an estimate for a Gutter installation Sacramento. Just like with any other contracting service you want to make sure that you are looking for a licensed contractor. Anyone can say that they are a professional and Gutter installationSacramento. But if they have not gone out and gone through the legal and proper process of getting licensed bonded and insured. How can you rely on them to install or service one of the more important assets of your home? You can check the CSLB website to see if a company is as legitimate as they say they are. Go ahead.. if you are interested in Gutter installation Sacramento, check us out and give us a call. We promise that you won't be disappointed.